Whether you live in Boston or are planning a quick weekend getaway, the city offers many fun things to do for couples. Our list includes a range of options, from unique tours and gondola rides to relaxing at a spa or by the pool. Couples can take a decadent chocolate tour of Boston, enjoy 360-degree city views from a panoramic observation deck, listen to jazz, visit the aquarium, have a romantic dinner, and view art from around the world. All the activities and attractions that made our list let you enjoy romantic time together in a unique setting. 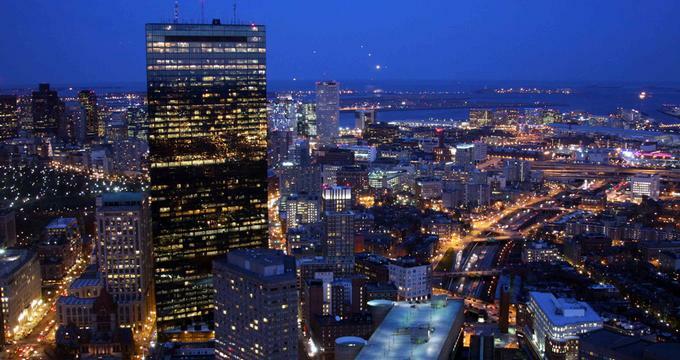 For an incredible 360-degree bird’s eye view of Boston, head to the Skywalk Observatory. Take a personalized audio tour of the Dreams of Freedom Museum exhibit to learn about Boston’s cultural heritage and how immigration has shaped the city. The observatory is open seven days a week; admission is $16. The facility is sometimes rented for private events, so it’s a good idea to check whether it will be open when you plan to visit. 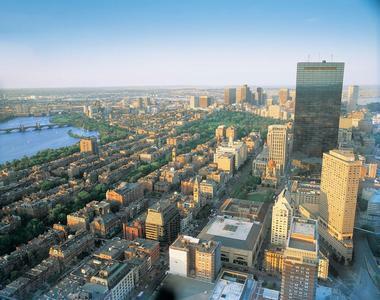 Take a walking tour of the city while satisfying your sweet tooth with Boston Chocolate Tours. You will get a chance to explore the historic parts of Boston, learn about chocolate creation as well as taste some of the best the city has to offer. The Boston Chocolate Tour of Back Bay is offered on Saturdays at 10:15 am and takes you on a 2.5-hour culinary adventure past famous landmarks like Copley Square and the Prudential Center. The South End tour departs at 2pm on Saturdays and leads past Victorian houses and chocolate boutiques. The Great Boston Cupcake Crawl, offered on Saturdays at 11 am, is designed especially for cupcake fans. Tours start at $48 per person, including delicious samples. 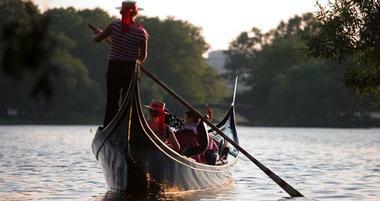 Glide down the Charles River in an authentic Venetian gondola, surrounded by views of the Boston skyline. Gondola di Venezia operates two 36-foot gondolas, both built in Venice, complete with elaborate carvings, hand-forged figurines and brass railing. Couples sip champagne, listen to Italian music and take in the views. Private 45-minute cruises start at $99 for two, including a basket of cheese, chocolates and recorded music. If you prefer to be accompanied by a live musician, cruises start at $159. 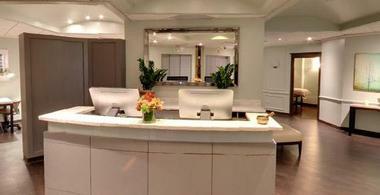 Check into the Bella Sante Boston Day Spa on Newbury Street for an afternoon of pampering and relaxation. The spa has nine treatment rooms where you can get couples massages, facials, body treatments, and other services. The spa is open seven days a week; 50-minute massages start at $95. Tour one of the most well known beer breweries in the United States. Sam Adams was founded in Boston where it is still headquartered. Tours are offered daily, except Sundays and holidays. Visitors learn about the history of the brand, get to watch the brewing process and sample award winning beers. The New England Aquarium is home to thousands of aquatic animals, educational exhibits, and a 3D IMAX theater where you can watch incredible films featuring whales, sharks and colorful fish. See several species of penguins, including African, Little Blue and Rockhopper Penguins. Learn about 15-inch Moon Jellies, 20-foot Giant Pacific Octopi, 18-inch Leafy Seadragons and other extraordinary creatures. See the new four-story, 200,000 gallon Giant Ocean Tank featuring a Caribbean coral reef with turtles, seals, sharks and stingrays. Admission is $24.95 for adults. During the summer months, relax next to the outdoor pool at the Colonnade Hotel which is open to the public on weekdays. 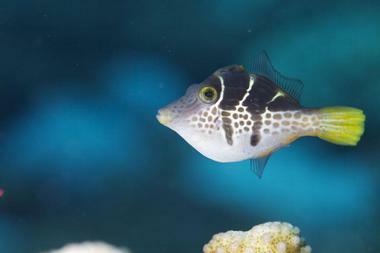 Order a tasty cocktail and go for a swim to cool off. Admission is $40 from 8 am to 5 pm, or free from 5 pm to 11 pm. After 5 pm, the pool is open to adults only. If you decide to stay at the hotel overnight, you will get rooftop access on Saturdays and Sundays as well. The Museum of Fine Arts (MFA) is one of the nation’s leading art institutions, dating back to 1876. The museum houses 450,000 works of art, including Egyptian, American, European, Asian, African and Contemporary. Whether you are interested in paintings, sculpture, prints, musical instruments, photography, fashion, jewelry, or works by living artists, there is something for everyone. Choose from several dining options, ranging from casual to sophisticated. Stop for a romantic lunch or dinner at Bravo, an award-winning restaurant with both indoor and outdoor tables, an excellent wine list and dishes prepared with sustainable ingredients. New American Café is housed in a glass-enclosed courtyard and serves salads, hot and cold plates, wines, and craft beers. Taste Café and Wine Bar is the place for coffee, gourmet tea, sandwiches and gelato. Garden Cafeteria has a salad bar, pizzas, hamburgers, soups and desserts. Museum admission is $25. Listen to performances by some of the best Jazz artists at Scullers Jazz Club. Tickets start at $30. The Dinner & Show package is an extra $40 and includes a three-course dinner, parking and preferred seating in the jazz club. 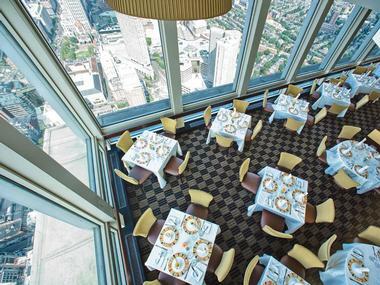 Stop for cocktails, lunch or a romantic dinner at Top of the Hub where you can listen to a jazz performance surrounded by panoramic city views. The lounge serves contemporary cuisine with Asian and Californian influences, paired with great wine.